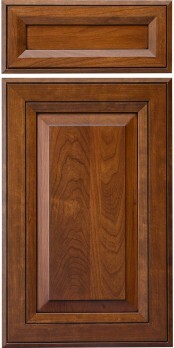 Prestige is a contemporary mitered door with a rounded face and 2 grooved profiles around its perimeter. NOT AVAILABLE IN INSET CABINETS. The cross section below shows how your door may look, but the profiles you select will affect the final look of your door.